A prayer circle Sunday was held on Chicago's South Side in an effort to stop the violence in the city. 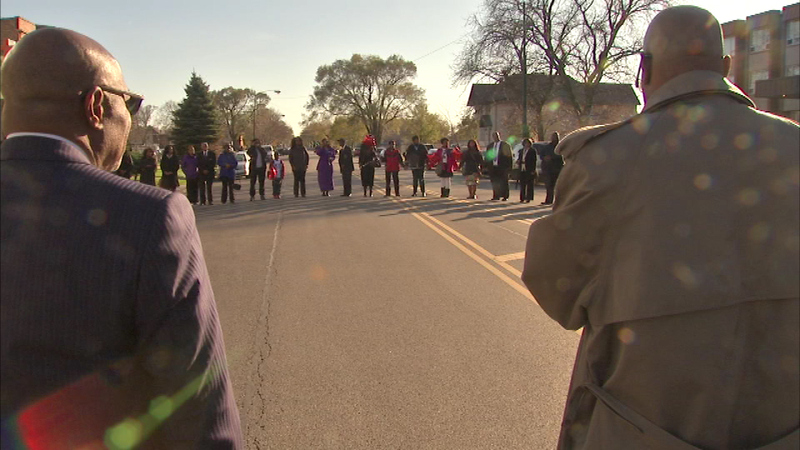 CHICAGO (WLS) -- A prayer circle Sunday was held on Chicago's South Side in an effort to stop the violence in the city. The group formed outside First Church of Deliverance on 43rd Street and Wabash in the Grand Boulevard neighborhood Sunday morning. The community prayer was organized by a church member who says prayer is a positive way to end the killings.